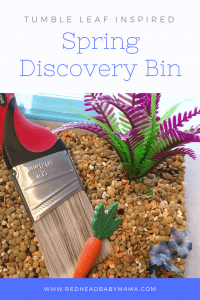 Thanks to Amazon for sponsoring this Tumble Leaf Inspired craft. Spring is in full swing (just ask my allergies) and we are getting ready for some Spring pictures together as a family. After watching the new Tumble Leaf Spring-a-ling Surprise special, we wanted to make some fun props that we could include. I really wanted to make something that had a lot of spring flowers on it. I also have two girls, so flower crowns sounded like a great idea. I discovered these great wire bunny ears at Target, so I knew exactly what I wanted to do! If you haven't discovered Tumble Leaf with your little ones, then you need to check it out. A blue fox named Fig and his friends go on adventures and learn how things work in the world. You can watch this Emmy-winning show on Amazon Instant Video. 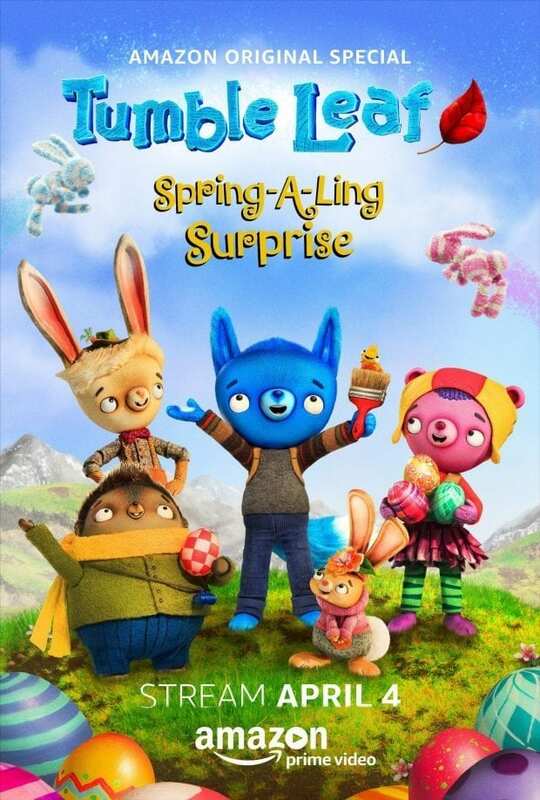 Airing April 4th is the Spring-A-Ling Surprise special which my girls watched and thought was so adorable. My preschooler was helping everyone find the eggs by shouting at the screen. We've always loved Tumble Leaf because of all the bright colors. This special spring episode put a smile on my face with all the characters working together and the beautiful surprise at the end! 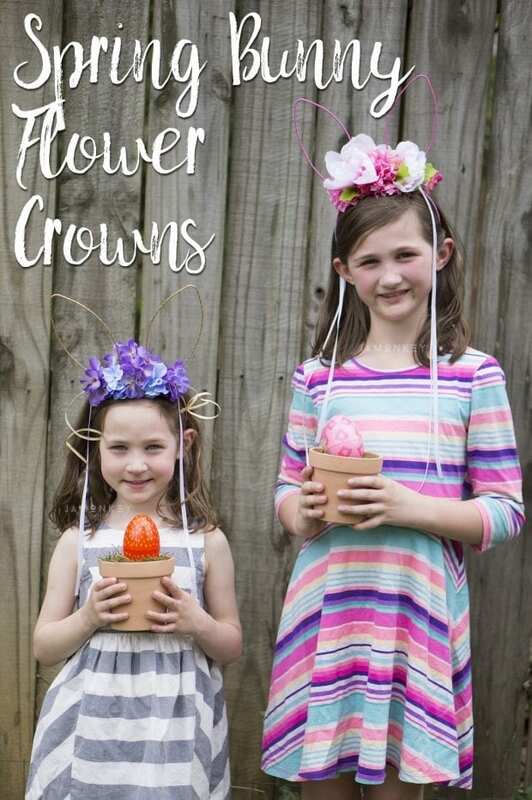 Check out this how-to video on how to make your own Spring Bunny Crowns! I found everything really cheap. Dollar bin all the way! I took the flowers off the stems first. I just slide them off and glued them to the headband. I also pulled some of the leaves off to glue to the bottom of the flower to add a little green to the project. 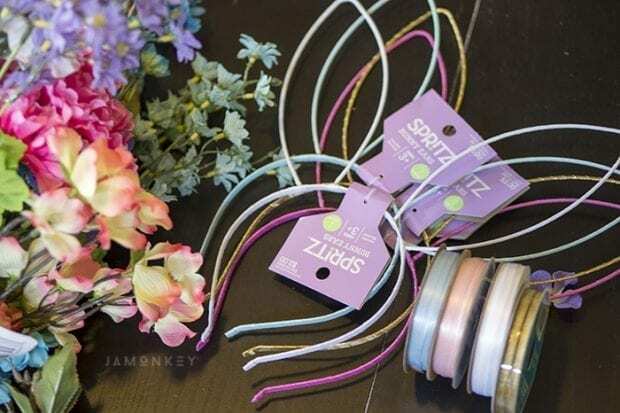 Play around with different colors and types of flowers to create the design you want. Don't put too many flowers on your headband because it will get too heavy to keep on your head. 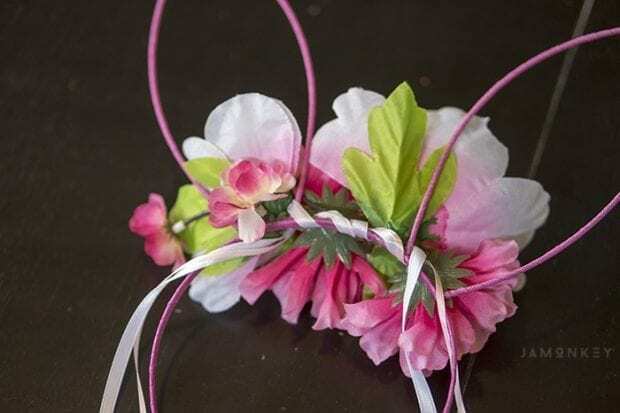 After I had got some flowers on the headband, I added some ribbon to hide some of the stems in the back. I used enough so that the ends would hang down in your hair. Start in the middle and wrap until you get to the bunny ears. Cut the ribbon to be equal hanging length and then burn the edges, so the ribbon doesn't fray. 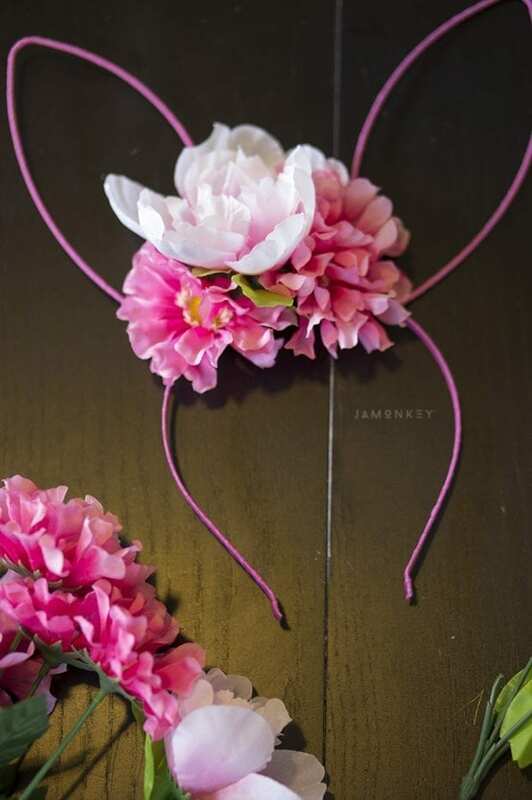 Once you start making flower crowns it is hard to stop. I've made a handful in the past year and have plans for many more! The girls LOVED their crowns. 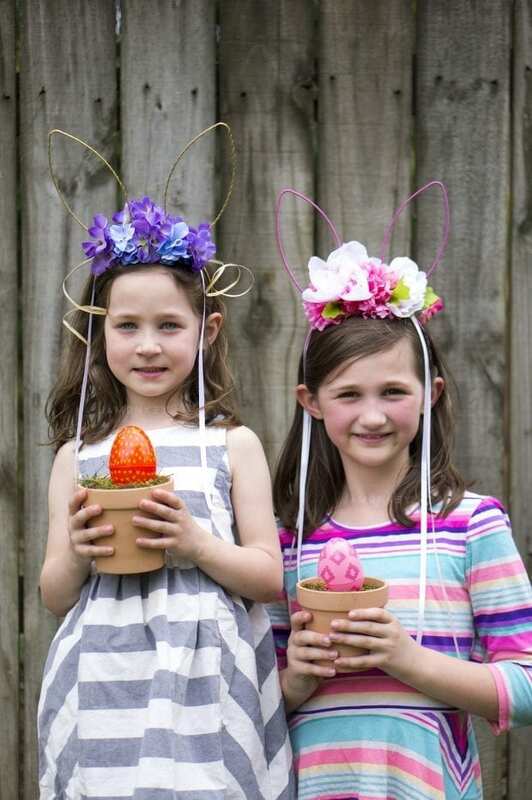 I even gave them egg flower pots just like they had in Tumble Leaf Spring-A-Ling Surprise! 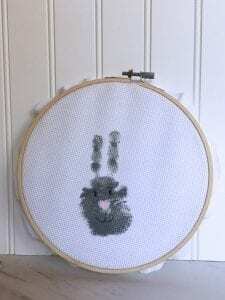 Handprint Bunny Craft from Really, Are You Serious? I have an extra white one!